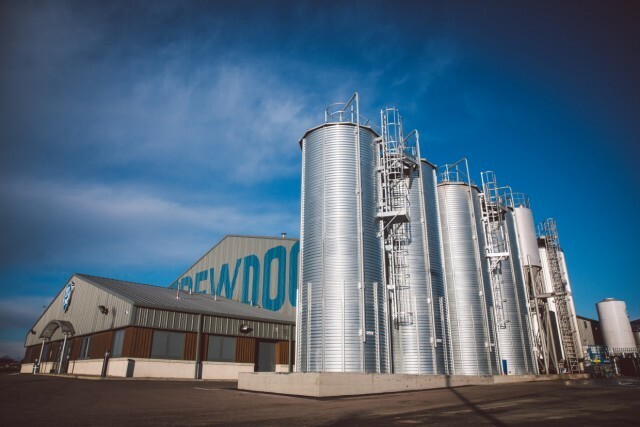 Craft beer giant BrewDog has entered a partnership with US brewery Scofflaw in a move that will see the two firms collaborating on a new beer next year. The partnership, which will run for 12 months, will give the US independent brewery exclusive access to some of BrewDog’s excess brewery and canning capacity, according to Beer Street Journal. Scofflaw, which is based in Atlanta, Georgia, and BrewDog will work together on a collaborative beer, while BrewDog will also serve the startup brewery’s products in its own bar in Ohio. “”ames and Tim have offered us a bridge,” said Scofflaw’s co-founder Matt Shirah. The partnership comes after the craft beer giant has spent the past two years developing its business dealings overseas. Back in 2015 BrewDog announced plans to launch stateside, starting with the construction of a 100,000 square-foot, 42-acre brewery in Columbus, Ohio. Since then, the madcap Scottish brewery, which launched in Adberdeen in 2007, has made waves across the pond with a series of political publicity stunts aimed at a US market. Earlier this year, BrewDog launched a protest beer which called out Donald Trump and the US government’s lukewarm attitude to climate change and the US’ departure from the Paris Agreement. And back in August, the firm said it wanted to open a craft beer bar on the USA/Mexico border, making a physical statement about its values of “collaboration and inclusivity”, alluding to US President Donald Trump’s plans to build a 1,000 mile wall between the two countries.